I can’t wait to take my BRAND NEW Adjustable Yoga Mat Straps from Strap it Om to Denver Startup Week today and this week. Might as well bring it along, show off my wares and then if there are no seats, I’ll even have a yoga mat to sit on! If I met you at Denver StartUp Week, You would like to connect, would like to talk to me more about my business and yours or would like to order a STRAP from Strap It Om or for any other reason, I would love to connect up with you. And fill out the contact form and I will get back to you As soon As Humanly Possible! If you love what I am doing and want to share, like or comment, PLEASE DO!!!!!!! 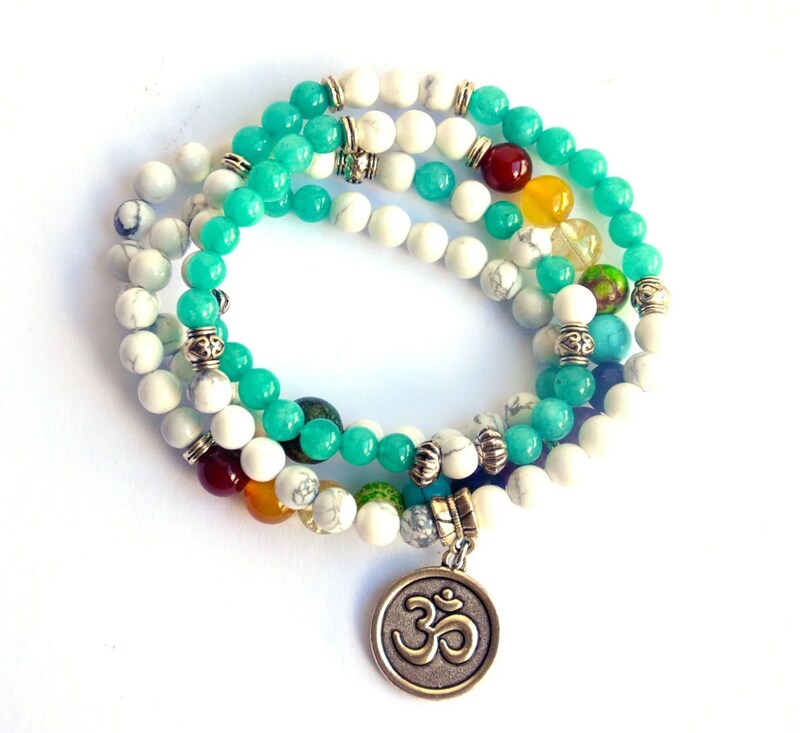 Why Does my Mala Keep Breaking? Alright universe…what are you trying to tell me here? I have had two mala bracelets now within three months of each other. One was a tiger eye and one was sandalwood. The tiger eye I had for a year. Ironically it was one my spouse bought for me on our honeymoon. It broke two weeks before our one year anniversary. I thought, “How symbolic is THAT?” I am no longer a “newlywed” so I could see that mala breaking. It no longer has that same meaning. But then I felt I needed another mala but wasn’t sure what. Everyone was wearing mala necklaces at Denver Yoga Fest but I bought a kit to make with my mom when I go see her in September, but I still wanted one now. When I went to go see my friends Donna & Susan in Arvada, Co I came upon this place called Rolling Sands that had some very amazing and unique mala necklaces and bracelets. I found this one sandalwood one that kept calling my name. I swear. I felt like it was saying my name “Trixie. Trixie” I even told the girl I felt like it was calling me. She told me this cute story about this singing bowl she wanted and never bought though she knew and felt she should have. She even walked the girl who bought it out of the store and told her that if she wasn’t happy with it , they offer a refund! lol. We got to talking and found we were both from Iowa and had a connection. I left her my card and told her that I have found when you have a connection to an item, that I felt you just have to buy it or you end up having that “longing” feeling. Mind you. this was last week. Om is believed to be a sound of the whole cosmic manifestation. And Shanti is the “Peace”. It means ‘Om Shanti‘ means peace for the all human kind, peace for all living and non living beings, peace for the universe, peace for each and every things in this whole cosmic manifestation. I was thinking of peace for my upcoming trip, peace for my family, peace for thsoe who I have had negative feelings for lately, peace for those around me, peace in my heart. Today, right as we were getting ready to leave for our vacation, my mala broke. There are tons of articles all over the internet and in books to explain this phenomenon…so oddly enough, I was chanting for peace, my mala broke and now I have peace understanding my my mala keeps breaking. I need to restring my mala and I need a different chant, a different mantra to focus on. For now, at this moment, I am leaving on my journey to spend time with my HUNEPANTS, my sweetheart of one full year of marriage. This weekend I was helping out at the Denver Yoga Festival. On Thursday I wanted to take a class but when I heard that over 13 of the volunteers who were assigned to show up just bailed on the volunteer coordinator, I decided to opt out of the class and offer up my services to her instead. Incredibly grateful she utilized my services and kept thanking me and hugging me. I was just being me. I actually hadn’t ever heard this phrase.